Upon arrival at Umbu Mehang Kunda airport in Waingapu, you will be met by our guide and by car transfer to the local Restaurant for lunch, After lunch check in at Alvin Hotel or similar, and then drive to visit Prai Liang village, one of the exotic village in Sumba island which is set a top a hill overlooking the valley and river. After a walk of around 300m, pass through the spirit gate, and see stunning local style houses. Dinner and overnight at Tanto Hotel or similar. Breakfast at Hotel, Drive to WaiKabubak in West Sumba for about 4 hours, on the way stop at Pasunga Village, to see the Greatest stone Grave and the traditional houses of west Sumbanese. 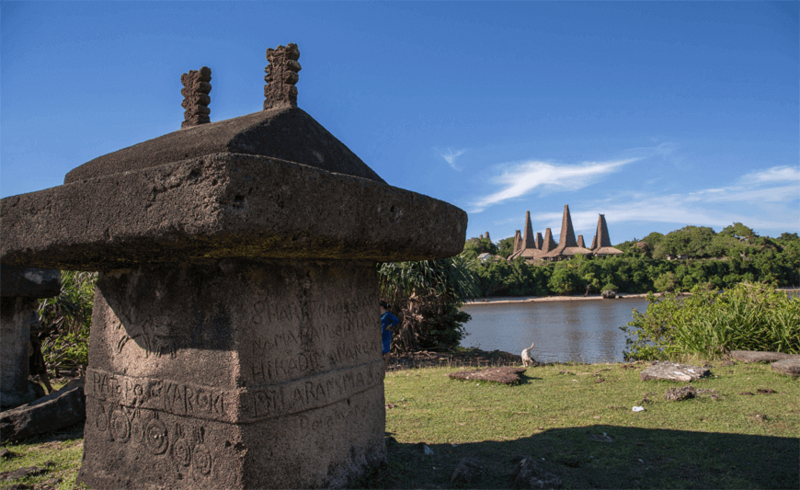 Waikabubak is the capital city of West Sumba. Check in at Manandang Hotel or simillar. Lunch at Hotel or Local Restaurant, in the afternoon visit Prai Ijing village, Tarung and Waitabar village. In those village you can see the traditional houses which are decorated by huge horn of Buffaloes in front. Dinner and overnight at Hotel. After breakfast at Hotel drive to Kodi Area for Visit: Paronabaroro, Ratenggaro, Pero fisher Harbor and Tosi village, this place to see all the house are very high roof more than ten meters high. Lunch box will prepare on the beach or at Waikury salt lake afternoon return to Hotel via Waitabula here along the way back to hotel for dinner and over night at Hotel Manandang. After breakfast transfer to the airport in Waikabubak for the flight back to Denpasar. AC car during the trip.